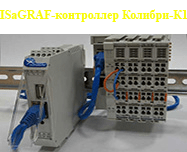 The license policy of Rockwell Automation, the ISaGRAF brand owner, provides for long-term contracts with manufacturing companies and suppliers of programmable logical controllers referred to below as Contractors. 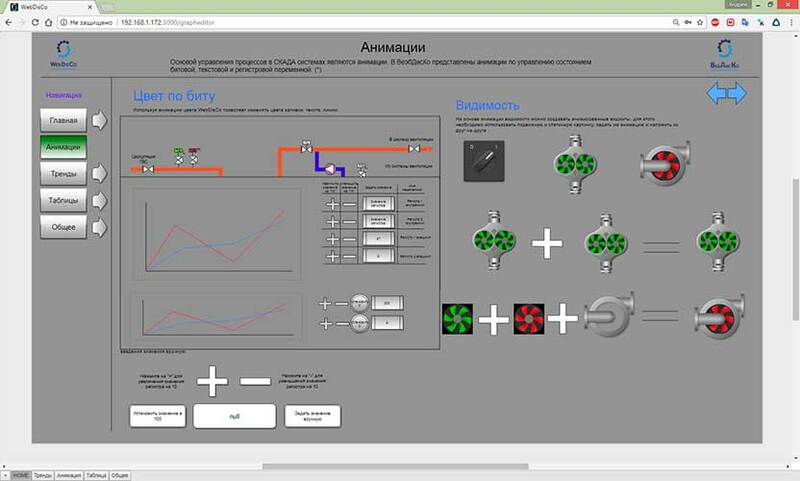 FIORD Ltd. as a Rockwell Automation distributor offers the contract for a term of 1, 2, 3 or more years, that can include a certain amount of licenses for the executive system ISaGRAF Target, the integrated development environments ISaGRAF 6 ACP (I6-ACP, Automation Collaboration Platform) and different options. All proposed contracts include a certain amount of the executive system licenses (ISaGRAF Targets). 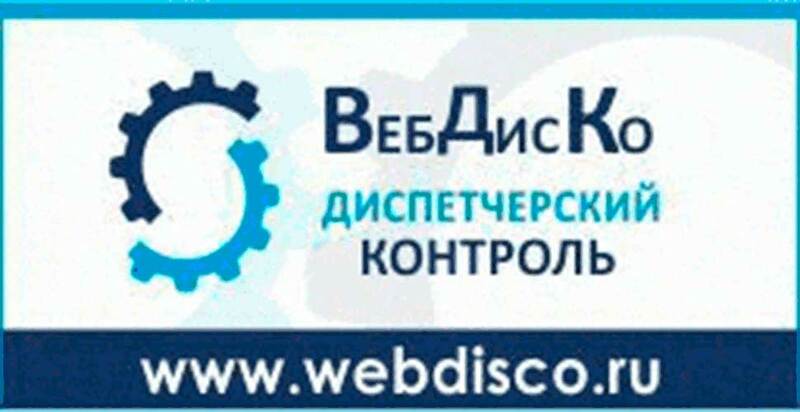 - contract with a certain amount of the I6-ACP Licenses (the special offer). A Contractor should specify the type of contract. The type depend on a chosen ISaGRAF License quantity, that he is obliged to purchase during the term of the agreement validity (Table 1). I6-ACP Licenses are purchased by Contractors outside of contract according to current ISaGRAF products price-list. This type of contract proposes to a Contractor an unlimited quantity of licenses for interactive development environments during the period of the contract validity having a limited license quantity for Runtime Targets. FIORD Ltd. proposes to Contractors a special type of agreement. Making such agreement, a Contractor has the opportunity to unite the advantages of both standard contracts for ISaGRAF products and get additional bonuses! According to this type of agreement a Contractor obtains a defined set of licenses for ISaGRAF Target and I6-ACP at the unique price (Table 3). The agreement first of all allocates to Contractors who start production or delivery of small series of controllers or launch prototype production and delivery for market outlet estimation of theirs products. Following the results of the agreement a Contractor may conclude a new agreement of any type. a variant of target system options supplying to end user: the options can be included by default in the executive system ISaGRAF or be proposed separately. In the first case, the selected options are included in the contract with the Contractor at special low prices. In the second case, options purchased by the end user are offered to a manufacturer and a PLC supplier with 50% discount from the public price. Contracts are concluded for 1, 2, 3 or more years. Terms of payment and delivery of licenses can be agreed and divided into stages: month, quarter, year, etc. During the term of the contract or after its termination there is possible a revision of the terms and the type of contract. 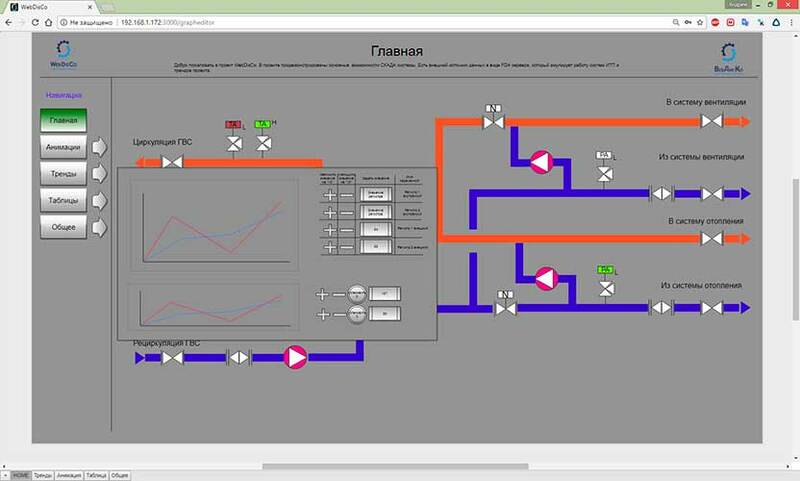 ISaGRAF Archive System (IAS) System of local archive management on controllers, historical data collection, graphical configurator of local archive maintenance system. Depending on the requirements for the hardware and software platform, as well as the availability of ready solutions for selected platform, the list of supported platforms is given below, the Contractor may choose a software package to develop his own executive systems ISaGRAF Target. 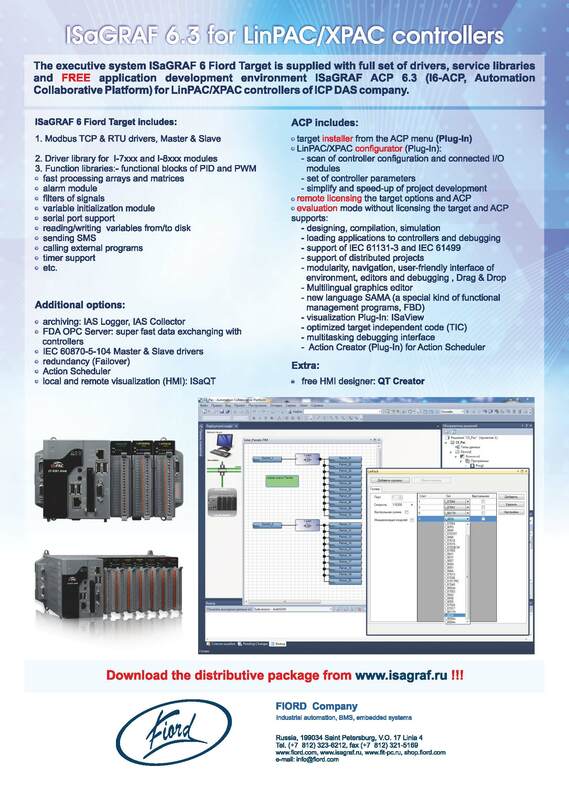 For adaptation of the executive system ISaGRAF Target to platforms of the Contractor's company, FIORD Ltd. offers a package Program Runtime Development Kit (PRDK), which represents the source code of executive system ISaGRAF Target, the complete set of documentation, examples of adaptation to specific hardware (x86) and software (Windows, QNX, LINUX, TimeSys, Linux Real Time, OS-9, InTime, ucOS-II, etc.) 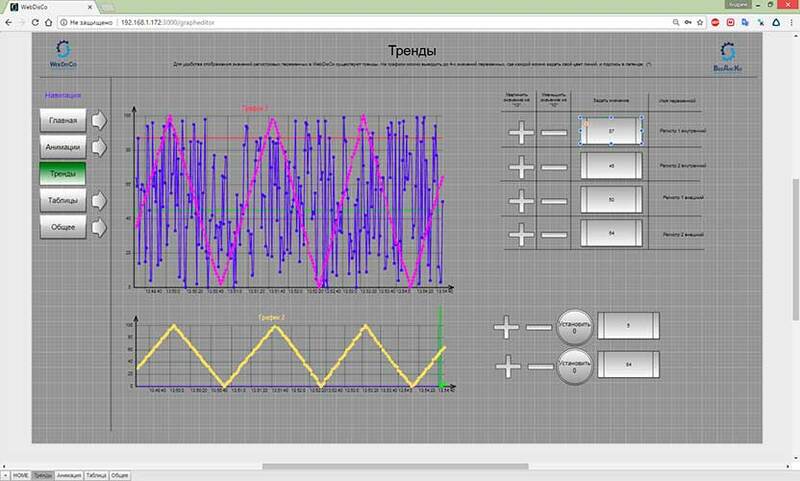 platforms, drivers: CAN, Ethercat, Modbus RTU \ TCP, the description of the interfaces for working with IEC 61499 and IXL (ISaGRAF eXchange Level) protocol, technical support by the distributor. 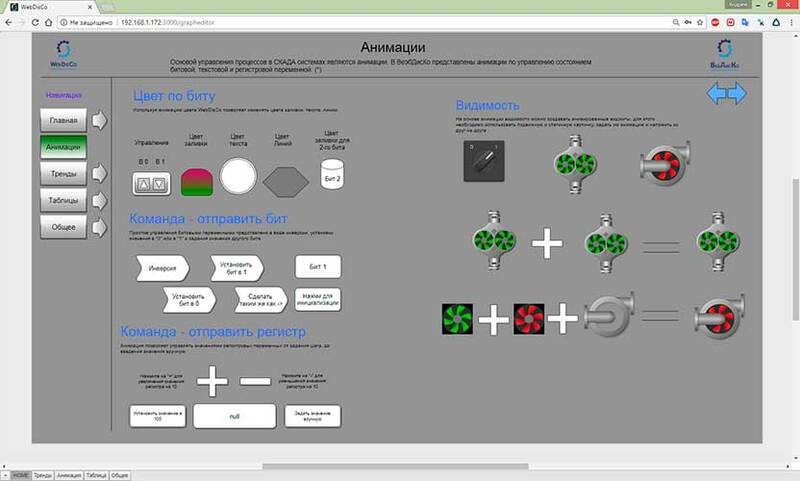 Having a generic executive system ISaGRAF Target for selected platform a Contractor may purchase a driver development package (Program Input \ Output Development Kit, PIO), which enables to develop input \ output drivers, functions and functional blocks, and to complement the generic Runtime Target by his functional extensions. 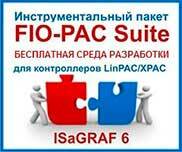 Package includes ISaGRAF Target object codes for a selected hardware and software platform, documentation in Russian and English languages, sample programs, distributor's technical support. 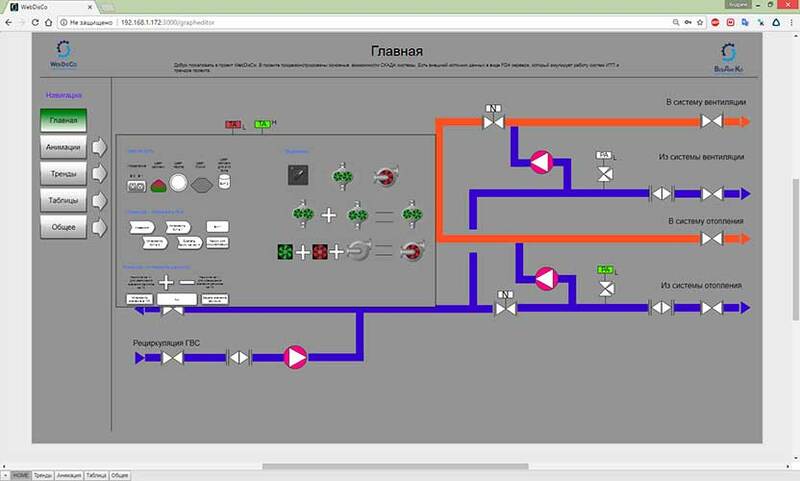 For many contractors, this package is a cost-effective, unique solution to develop their own software and hardware products. 5.Tools for developing own servers and drivers of access to real-time data of executive systems ISaGRAF Target via protocol FDA (Fast Data Access). The price of each of the above package for application development depends on the type of contract. 6. Supported system architectures and operating systems. Currently ISaGRAF Target supports the following types of hardware and software architectures (Table 5). The list of supported platforms is constantly updated! OS-9, Beck OS, CMX, InTime, Rtx2009, Rtx8, TimeSys Linux, TimeSys Linux Real Time, ucOS-II, uITRON OS etc.